promote and support DECOIN holders and new DECOIN adopters. Private Sale; Initial Coin Offering (ICO) commencing the marketing and promotions for early-bird investors. 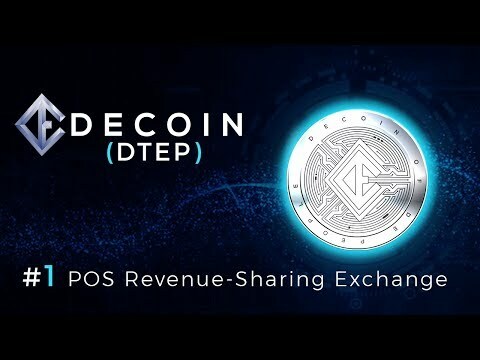 Exchange Platform Beta Test (D-TEP); Pre-ICO stage and ICO Stage; Adding DECOIN on several exchanges; Wallet Launch + Commencing distribution of DECOINS. Exchange platform launch (D-TEP); Trading platform launch (D-TEP).